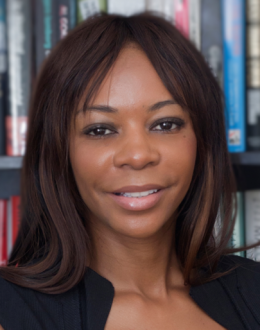 Dambisa Moyo is an international economist who analyzes the macroeconomy and global affairs. She has travelled to more than 70 countries over the last decade, during which time she has developed a unique knowledge base on the political, economic, and financial workings of emerging economies. Dambisa serves on the boards of Barclays Bank, the financial services group, SABMiller, the global brewer, and Barrick Gold, the global miner. She was an economist at Goldman Sachs, where she worked for nearly a decade, and was a consultant to the World Bank in Washington, D.C. Her work examines the interplay between rapidly developing countries, international business, and the global economy, while highlighting the key opportunities for investment. She is the author of the New York Times bestsellers Dead Aid: Why Aid is Not Working and How There is a Better Way for Africa and How the West Was Lost: Fifty Years of Economic Folly and the Stark Choices Ahead. Her third book, Winner Take All: China’s Race for Resources and What it Means for the World, was published in June 2012, and premiered at #13 on the New York Times bestseller list. In 2009, Dambisa was named by TIME Magazine as one of the “100 Most Influential People in the World,” and to the World Economic Forum’s Young Global Leaders Forum. She was awarded the 2013 Hayek Lifetime Achievement Award, named for the Nobel Prize winner and recipient of the Presidential Medal of Freedom, Friedrich Hayek. Dr. Moyo has been a participant at the Bilderberg Conference and the U.S. Federal Reserve Jackson Hole Conference. In addition, she serves on the World Economic Forum’s Network of Global Agenda Councils on Global Imbalances. She is a member of the Atlantic Council. Dambisa is a contributing editor to CNBC, the business and finance news network. Her writing regularly appears in economic and finance-related publications such as the Financial Times and the Wall Street Journal. She completed a PhD in economics at Oxford University and holds a Masters degree from Harvard University. She completed an undergraduate degree in chemistry and an MBA in finance at American University in Washington, D.C.